This week’s list of most and least expensive rental properties comes from information obtained through StreetEasy. At the top of this week’s rental list is a stunning, full floor Gold Coast home located at 30 East 68th Street. Exposures from all directions, this four bedroom Lenox Hill apartment offers prewar style with the modern convenience of recent renovations. Living space includes 2,600 square feet with large corner living room with decorative fireplace, formal dining room, windowed granite kitchen with stainless steel appliances, office, and service entrance off of the kitchen. Kitchen area also includes washer/dryer. Private elevator landing and entry foyer. Amenities include doorman and live in management. Offered at Siderow Management Group by Peggy Dahan for $30,000 monthly rent. This prewar five bedroom, three and a half bath home sits at 26 East 81st Street and Madison Avenue. With a 20 foot hallway leading to a massive living room with tons of huge windows, this home offers bright sunshine and plenty of space. Separate formal dining room near windowed eat-in kitchen with custom cabinets. Incredibly large master bedroom provides ensuite windowed bath, double vanities, and large walk in closets. Preserved original hardwood floors, central air conditioning, and washer/dryer in this boutique building with live in management. Listing available through Halstead Property by Astrid Pillay for $29,500 rent per month. A four bedroom luxury pre-war home is located at 151 East 80th Street. An Italian Marble Entry leads to 2,700 square feet of living space with large living room, fireplace, separate formal dining room, kitchen with breakfast bar and stainless steel appliances, high ceilings, walk in closets, four full marble baths, new oak plank flooring, and five zone central air. Full size washer/dryer, and triple exposure. Building amenities include 24 hour doorman, elevator, live in management, and laundry in building. No fee or board approval for this 1-2 year lease listed at Goldfarb Properties for $24,500 each month. A prewar Yorkville building offers this spacious studio apartment at 522 East 88th Street. Painted exposed brick, hardwood floors, decorative fireplace, and high ceilings give this home charm and personality. Building allows cats. Listed by Renee Smith at Citi Habitats for $1,549 monthly rent. Located at 1295 First Avenue, this large studio home is charming. Separate kitchen with pass through window, and decent closet space. This mint condition, prewar, four floor, walkup building on the corner of 68th Street is one of the most desired locations in Lenox Hill. Rental listing offered by Kevin Daly at Prince Real Estate for $1,600 monthly rent. In the process of a gut renovation, this large studio apartment is almost finished. Located at 337 East 86th Street, this 550 square foot home offers hardwood floors, two south facing windows, and high ceilings. Huge eat-in kitchen offers new cabinets, new appliances, and pass through window. Bath is renovated with marble and glass accent tiles. Building has live-in management. Rental listing provided by Ray Vazquez at RV Realty for monthly rent of $1,600. At the top of this weeks rental listing is this incredible 6,200+ square foot home located at 502 Park Avenue in Lenox Hill. This custom-built duplex penthouse offers floor to ceiling windows and incredible city views. Four bedrooms, six baths, a powder room, formal dining room, private elevator, and foyer with incredible double staircase. Impeccable details abound throughout this prewar modern renovated condo, with 22 arched windows, soaring ceilings, herringbone floors, and crystal chandeliers. All of the details you would expect come in the windowed, state-of-the-art chef’s kitchen with marble countertops, designer cabinetry, butler’s pantry, dumbwaiter, and top-of-the-line appliances. The master suite, with its own private access, boasts his-and-hers baths as well as his-and-hers walk-in closets. Trump Park Avenue is an iconic landmark building with full service including doorman, concierge, elevator, laundry, gym, and live in management. Listed by Michelle Griffith at Trump International Realty for $150,000 per month. Next on the list of most expensive rentals this month sits this divine condo home located at 8 East 83rd Street. This incredible gut-renovated condo gives a feeling of grace and simplicity with a master suite, three additional bedrooms, four baths, plus a staff room or guest room. A large foyer welcomes guests from the elevator into the gallery, through to the expansive, light-soaked living room. The separate formal dining room is adjacent to the chef’s kitchen with pantry and separate entrance for staff. Included in the unit is a washer and dryer and large closets. This technologically savvy home offers flat screen televisions in every room, high-speed Internet, and individually controlled thermostats. In addition there are two custom-designed stone eco-fireplaces, one in the master bedroom and one in the living room. Listed for $25,000 per month rent at Sloane Square by Susan Kane. This full townhouse offers exquisite city living with a palatial feel at 333 East 65th Street in Lenox Hill. A European style courtyard entrance leads to four floors of living space plus a wood roof deck. The garden floor has its own separate entrance and could be an apartment of its own with a bedroom, laundry, full bath, kitchen, fireplace, and living room which leads out to the terrace and garden. The parlor floor contains the formal dining room, living room, kitchen with pantry, and another deck with spiral staircase leading down to garden. The second and third floors contain the five bedrooms, laundry room, and kitchenette for roof deck service. This listing is offered by Beth Roberts at Douglas Elliman for $24,900 per month. This sunny studio sits in an elevator Brownstone just off of 5th Avenue at 20 East 88th Street in Carnegie Hill. Hardwood floors, high ceilings, two windows, windowed bath, and an entry hallway. Building offers laundry and air conditioning. Listing by Ilene Axelowitz at New York City Realty for $1,495 monthly. This adorable first floor studio offers high ceilings, hardwood floors, good closet space, and lots of sun at 308 East 90th Street in Yorkville. Windowed kitchen area has a full stove and under the counter fridge. Rental listing by Matt Goodman at Eric Goodman Realty for $1,525. Finally, of the most affordable apartments this week sits a charming studio at 311 East 90th Street in Yorkville. Hardwood floors, a loft bed, great closet, and separate windowed kitchen area. Listed by Helena Gomes at Eric Goodman Realty for $1,525 per month. At the top of this week’s luxury rentals is this freshly listed sprawling condo at 923 Fifth Avenue. Offering four bedrooms, this corner apartment is uniquely exposed to four sides covered with sunlight and exquisite views of the city from a high floor. Living room, dining room, full bar, media room, a powder room, and eat-in kitchen grace the common areas of the home. The bedroom wing offers an ensuite bath for each of the four bedrooms including the master suite which is bathed in east-facing sunlight. Also in the master suite are generous walk-in closets, marble bath, steam shower, and hot tub. This home also includes a laundry room in unit, central air, built in sound system throughout. The building provides full service including doorman, elevator, gym, live in management, and garage parking. Listed at Stribling by Bahar Tavakolian for $58,000 per month rent. This lovely furnished walk-up townhome offers three floors of contemporary living at 240 East 61st Street in Lenox Hill. The entrance leads to a dining room with fireplace, airy kitchen, and enormous living room with a wall of glass and steel in the rear. A modern steel-railed staircase leads to the second floor which contains the master suite with bath and two large walk-in closets, as well as a second bedroom suite with attached office or third bedroom. The third floor holds three more bedrooms, one with a terrace, as well as two more full baths. The lower floor is a basement containing a gym and family room. Light and air exude from this modern home which is available furnished or unfurnished for a two-year lease. Listed for rent by Christine Driscoll at Sotheby’s International Realty for $38,000 monthly. An unbelievably well-located home is available for the first time at 900 Park Avenue. Completely renovated with hardwood floors, large windows, French doors, and other incredible details. With 3,300+ square feet of living space, this home balances modern usefulness with classic style that includes a sophisticated corner living room, 30-foot gallery, dining room with separate wet bar, and an open kitchen with top-of-the-line stainless steel appliances, marble countertops, and wine fridge. The luxurious master suite includes gracious built-ins, generous closets, private dressing area, and luxury bath. Two other bedrooms also boast marble baths and walk-in closets. An additional den with adjacent bath and laundry could be used as a fourth bedroom. High ceilings, dimmers, stereo system and through the wall HVAC complete the home in this white-glove elevator building with garage parking and a live in super. Rental listing at Corcoran by Mercedes Schwartz for $36,000 per month. Available for rent is this economical apartment at 538 East 85th Street in Yorkville. This studio has a separate kitchen and closet. Large window brings light. Private building offers laundry room, bike room, and management lives next door. Offered for rent at $1,500 per month by Tosh Marks at Chartwell Manhattan Realty. This walk-up apartment is a two-room studio that sits at 444 East 78th Street. This charming apartment is newly renovated with a separate kitchen containing full-sized appliances. Bedroom has a window which faces East 78th Street and fits a queen sized bed. Listed for rent by Mdays Realty at Standard Realty for $1,600 per month with no fee. Finally on the least expensive list comes at lovely studio which sits on an incredible block at 324 East 74th Street. Offers good sunlight and generous closets in this five story pre-war building. Listing by Lenny Grodin at GPA Realty for $1,650 monthly rent. Located in Lenox Hill, this exquisite townhouse sits at 132 East 62nd Street and is a historic brownstone masterpiece. Five stories include five bedrooms, six baths, powder room, gallery, chef’s kitchen, fully landscaped garden with water wall, drawing room, living room, formal dining room, master suite, second kitchenette, and laundry. Pre-war details include restored fireplace mantles, marble flooring, parquet hardwood floors, large windows, original reinforced staircase, and bay window. Restored and reinvented, this home comes with a rich history and offers fine details rarely found. Property listed by Oren Alexander at Douglas Elliman for $85,000 monthly rent. This furnished luxury renovated townhome sits at 14 East 63rd Street in Lenox Hill. Ideally located between Fifth Avenue and Madison, this home offers 6,000 square feet of living space. Soaring ceiling, hardwood floors, incredible finishings, and newly carpeted curved staircases are just the beginning of the details of fine living. Rooms include four bedrooms, five baths, powder room, grand living room with fireplace, formal dining room, with fireplace, renovated kitchen, maid’s room, second eat-in casual kitchen with skylights, and laundry room. Basement storage and a garden finish out this incredible residence. Rental listing provided by Vera Jones at Douglas Elliman for $28,000 monthly. Sitting at 985 Fifth Avenue, this high floor home exudes privacy and incredible views. Three separated master bedroom suites, four baths, maid’s room, large entry foyer, formal dining room, gourmet kitchen, laundry, and separate service entry are all included in this luxurious terraced home. Full-service building includes white glove doorman service, concierge, manned elevator, and valet. 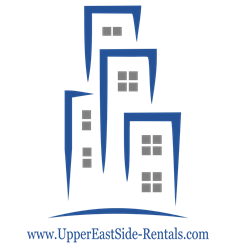 Rental listing offered by Urbana Properties for $25,000 per month with no fee. This Yorkville charmer on the more affordable side of rentals sits at 522 East 88th Street. Hardwood floors, exposed brick, and high ceilings are offered in this least expensive listing for this week on the Upper East Side. Rental listing is available through Citi Habitats by Renee Smith for $1,569 monthly. This adorable one-bedroom apartment is located at 199 East 97th Street in Carnegie Hill. Newer stainless steel appliances, renovated bathroom, and ideal location. Building has live in management. Offered for rent at Prince Real Estate by Shlomi Dayan for $1,600 per month. Beautifully sunny, this studio apartment sits on the tree lined 303 East 94th Street in Yorkville. Hardwood floors, working brick fireplace, two windows, and newly renovated windowed separate kitchen with stainless steel appliances. Three large closets and extra overhead storage space. Building offers laundry, live-in management, and is cat friendly. Listed for rent by Andrew Saunders at DSA Realty for $1,645 monthly rent.